We couldn't be more excited to announce that ALL of our group classes at LFC will now be FREE for members! We would also like to welcome Total Body Aerobics/Strength and AOA back to our schedule. We are also adding a new class, Foam Roller Recovery! This class will improve range of motion, increase flexibility, better circulation and stress reduction. Reduce exercise-related soreness and prevent injury. This class will start Wednesday, July 18th! Registration is open for our Spring Volleyball League now through April 9, 2019! We are excited to announce that we will now be sending out a LFC Newsletter each month! We hope you guys enjoy it, if you have any suggestions on topics you would like to see in next month's edition, shoot us an email or Facebook message! We are excited to announce that we have added new classes to our schedule! Be sure to stop and try one of our new classes. Your 1st class is FREE! LFC now has an outdoor facility! 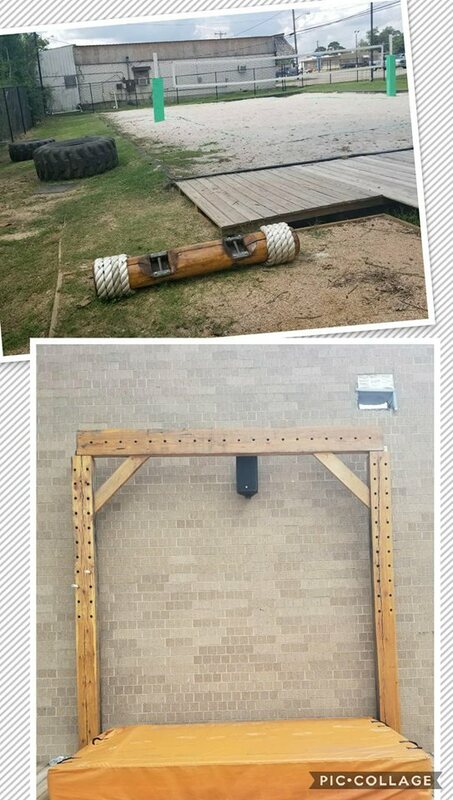 This includes a regulation sand volleyball court, peg wall, climbing ropes, deadlift logs and tractor tires.